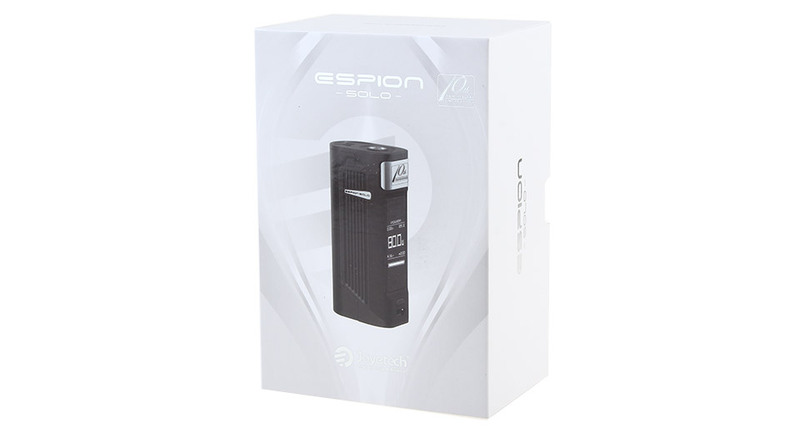 The Joyetech ESPION Solo is a sophisticated and powerful TC Box MOD specially designed for the 10th anniversary. With a 1.3-inch particularly responsive touchscreen and an easy-to-use operating system, ESPION Solo brings you a very convenient operation. Powered by single 21700/ 18650 battery(with a battery sleeve), ESPION Solo MOD is capable of 80W max output with high performance VW/TC modes to bring you an incomparable vaping with huge vapor and intense flavor production. 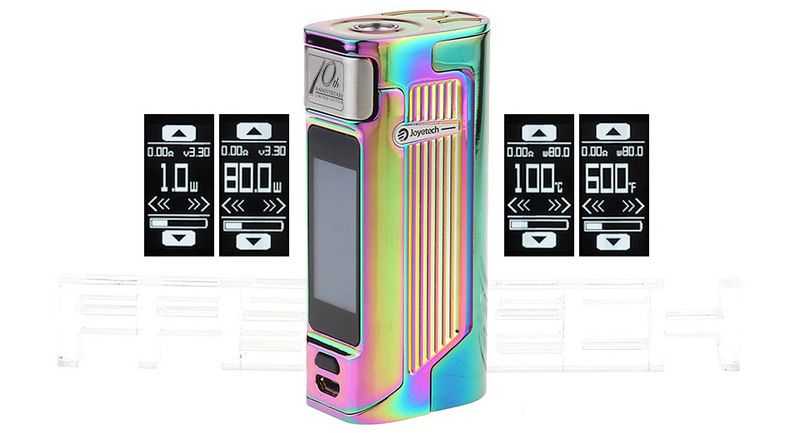 Moreover, the screen of ESPION Solo could be locked easily by clicking the function button to avoid any touch by mistake. 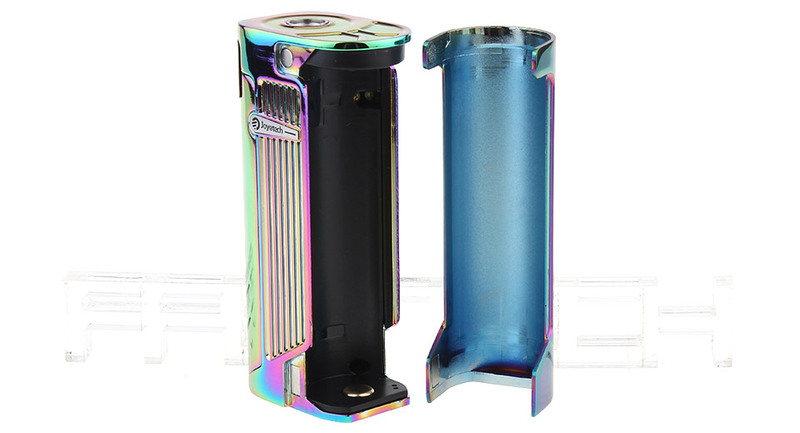 Together with a magnetic battery cover for convenient exchange, an exquisite spring loaded 510 connector, equalizing charge system, 2A quick charge and upgradeable firmware, ESPION Solo 80W TC MOD is absolutely worthy buying. ESPION Solo is definitely a masterpiece for Joyetech fans. 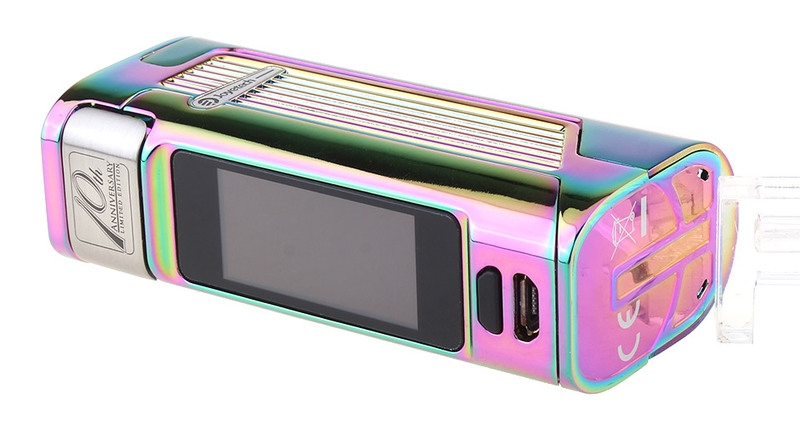 Touch freely: Coming with a 1.3 inch OLED touchscreen combined with an easy-to-use operating system,the ESPION Solo, such a sophisticated box mod, will be incredibly convenient for you. Simply swipe the Screen to view and adjust your mod freely. Lock intelligently: You can lock the screen by clicking the function button to avoid any touch by mistake. Also, the screen will be locked automatically each time when you click the fire button. Click the function button once to unlock. You can turn the screen on/off by clicking the function button 2 times in quick succession. 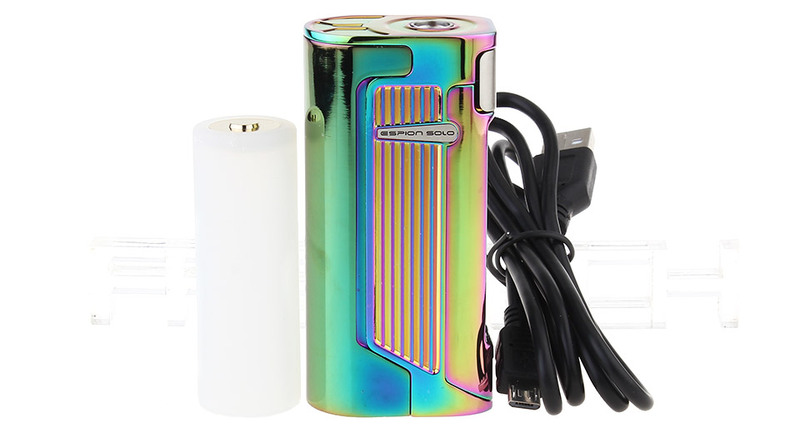 Compatible with 21700/18650 battery: With a 4000mAh high drain 21700 battery. you can enjoy an earthly vaping experience for the all day long. 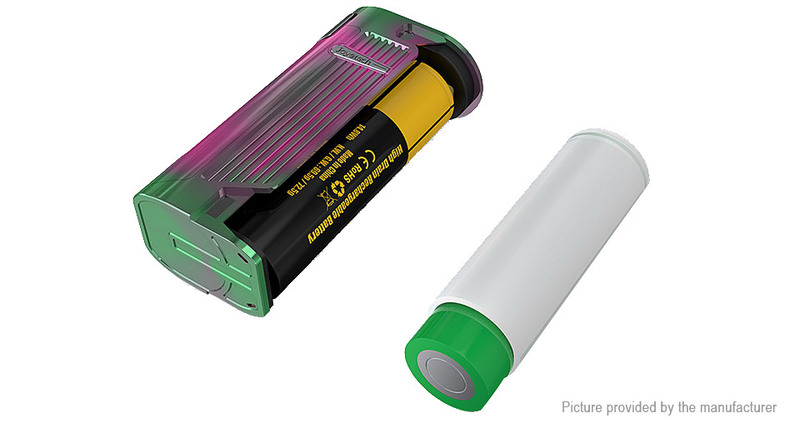 Still you can use the normal 18650 battery with the help of a special sleeve (includes in the kit). 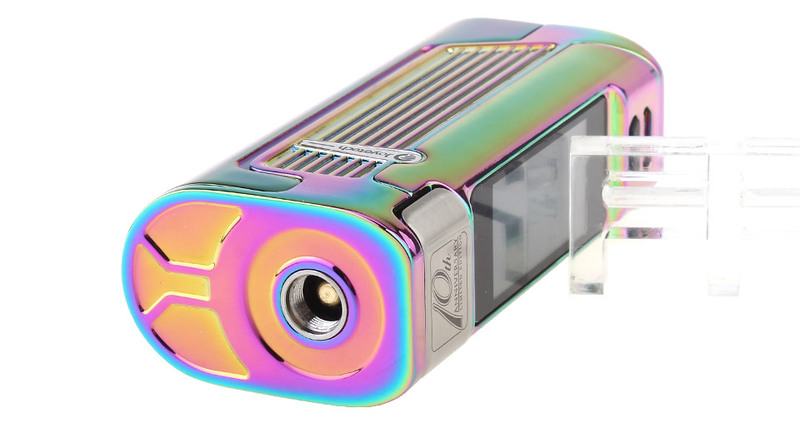 80W max output: The ESPION Solo is capable of outputting 80w power, providing you with huge vapor production. Moreover, it offers more possibilities of using a variety coils with 30A maximum output Current. 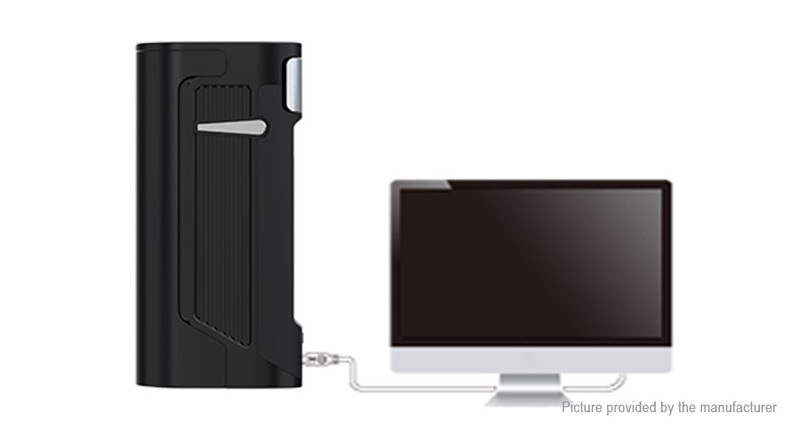 Magnetic battery cover for convenientexchange: The humanized push-pull design of the magnetic battery cover makes changing the battery with high proficiency.